My current research focuses on developing new methods for analyzing and implementing wireless broadband and portable internet access at millimeter wave frequencies and above. My students and I have pursued the potential of millimeter wave wireless communications, and frequencies above this spectrum, as a way to meet the growing global demand for bandwidth in both personal and cellular applications, and in both indoor and outdoor scenarios from dense urban settings to rural fiber-replacement. 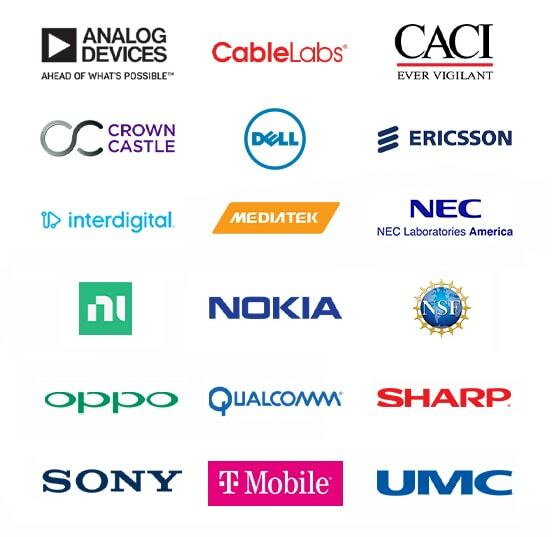 Using smart antennas, integrated on-chip antennas, and much greater spectrum than ever available before, we envision the ability to offer unprecedented bandwidths to mobile devices, while completely transforming the form factors and mechanical design of appliances and electronics. See mmWAVE for more information. This exciting world was first made possible by Moore’s law, and the first unlicensed 60 GHz millimeter wave band. Other applications include the concept of an “information shower” where people walk from room to room, and massive amounts of content is downloaded or exchanged with devices on an as-needed basis,. This interdisciplinary research vision combines RFIC design and semiconductor research capabilities with MAC and Network layer research, as well as radio propagation channel measurements and modeling, at frequencies of 60 GHz and greater. By 2020, the world will see single chip data transceivers that reliably transfer more than 10 GB/s data for more than 200 meters in a vast number of military or commercial applications. 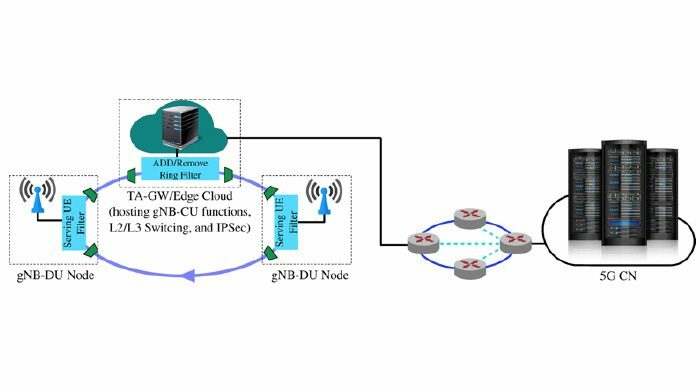 A recent interdisciplinary National Science Foundation (NSF) research project involved 4 undergraduate students and 2 graduate students and developed new methods for analyzing mobile IP throughput and large scale wireless network behavior. NSF funding has allowed collaboration with the University of Auburn on the development of antenna steering to “find” highly directional portable devices in space, and along with sponsorship from our NYU WIRELESS Industrial Affiliates companies, has enabled us to capture more than 1 Terabytes of real-world measurement data at frequencies from 10 to 73 GHz throughout the United States. Further NSF funding has enabled our students to create realistic channel models and impulse response simulators, like NYUSIM, that are now being used by the global standards bodies and academicians throughout the world. Other work, funded by our Industrial Affiliates and NSF has looked at health effects due to non-ionizing radiation at mmWave frequencies, and how to model the human body for reflection and absorption. Current NSF funding is enabling our students to create novel algorithms and estimate the capacity that future mmWave wireless systems will achieve through the use of adaptive beamsteering, spatial multiplexing, massive MIMO, and Cooperative Multipoint Point diversity (CoMP). A recent NSF project, WiFiUS, is a joint effort with Finland researchers and Columbia University, where we are exploring future networks that will use edge-servers to bring content close to the edge, and how the wider bandwidths at mmWave frequencies will allow rapid/accurate position location for devices and users – something that will be needed in the coming Internet of Things (IoT). My research goal is to make the wireless channel understood as well as a copper wire, and to design and fabricate devices, systems, and methodologies that unleash improved data transmission rates or enable new applications of wireless, such as will be needed for driverless cars, drones, biosensors, medical research, or paperless office technologies. My research has also developed site-specific network modeling and management tools that are now routinely used by industry for study, simulation, and deployment of wireless systems. A sampling of earlier publications and talks that helped launched the mmWave movement (before the world ever believed mmWave could work) can be found here. Work that my students and I had done in the mid-1990s at 38 GHz showed me that someday this 5G millimeter wave future would be possible. We just had to wait for Moore’s law and the consumption of data to catch up to what was waiting for it. Our pioneering measurements in Austin (2011) and New York City (2012) gave proof that wideband mobile communications at frequencies never thought to be viable would indeed work well in non-line of sight conditions in urban and suburban channels. A complete list of more recent papers are given below. F. Gutierrez, K. Parrish, T. S. Rappaport, “On-Chip Integrated Antenna Structures in CMOS for 60 GHz WPAN Systems,” IEEE Journal on Selected Areas in Communications, Vol. 27, Issue 8, October 2009, pp. 1367-1378. T. S. Rappaport, F. Gutierrez, T. Al-Attar, “Millimeter-Wave and Terahertz Wireless RFIC and On-Chip Antenna Design: Tools and Layout Techniques,” invited conference paper, IEEE First Workshop on Millimeter Wave and Terahertz Communications, in conjunction with IEEE Global Communications Conference (Globecom), Honolulu, HI, November 30-December 4, 2009. J. Murdock, E. Ben-Dor, F. Gutierrez, Jr., T.S. Rappaport, “Challenges and Approaches to On-chip Millimeter Wave Antenna Measurements,” to appear n the “2011 IEEE MTT-S International Microwave Symposium (ISM)”, Baltimore, MD, June 5-10. T. S. Rappaport, J. N. Murdock, D. G. Michelson, and R. Shapiro, “An open-source archiving system for RF propagation measurements and radio channel modeling and simulation,” IEEE Vehicular Technology Magazine, 2011. T. Liansheng, T. S. Rappaport, et al. “Stability and throughput of FAST TCP traffic in bidirectional connections.” Resource Allocation and Performance Optimization in Communication Networks and the Internet. Vol. 21. No. 4. Fort Monmouth, NJ: Springer, 2018. 1-20. Y. Xing, O. Kanhere, S. Ju, T. S. Rappaport, G. R. MacCartney Jr., “Verification and calibration of antenna cross-polarization discrimination and penetration loss for millimeter wave communications,” 2018 IEEE 88th Vehicular Technology Conference (VTC2018-Fall), Chicago, USA, Aug. 2018, pp. 1-6. S. Sun, T. S. Rappaport, M. Shaft, “Hybrid beamforming for 5G millimeter-wave multi-cell networks,” IEEE INFOCOM 2018 – IEEE Conference on Computer Communications Workshops (INFOCOM WKSHPS), Honolulu, HI, 2018, pp. 589-596. S. Sun, T.S. Rappaport, M. Shafi, P. Tang, J. Zhang, P. J. Smith, “Propagation Models and Performance Evaluation for 5G Millimeter-Wave Bands,” in IEEE Transactions on Vehicular Technology, June 2018. T. S. Rappaport, V. Ariyarathna, A. Madanayake, X. Tang, D. Coelho, R. J. Cintra, L. Belostotski, S. Mandal, “Analog Approximate-FFT 8/16-Beam Algorithms, Architectures and CMOS Circuits for 5G Beamforming MIMO Transceivers,” in IEEE Journal on Emerging and Selected Topics in Circuits and Systems. May 2018. G. R. MacCartney, Jr., T. S. Rappaport and A. Ghosh, “Base Station Diversity Propagation Measurements at 73 GHz Millimeter-Wave for 5G Coordinated Multipoint (CoMP) Analysis,” 2017 IEEE Globecom Workshops, Singapore, Dec. 2017, pp. 1-7. G. R. MacCartney, Jr., T. S. Rappaport, and Sundeep Rangan, “Rapid Fading Due to Human Blockage in Pedestrian Crowds at 5G Millimeter-Wave Frequencies,” 2017 IEEE Global Communications Conference, Singapore, Dec. 2017. T. S. Rappaport, Y. Xing, G. R. MacCartney, Jr., A. F. Molisch, E. Mellios, and J. Zhang, “Overview of millimeter wave communications for fifth-generation (5G) wireless networks,” IEEE Transactions on Antennas and Propagation, 2017, Dec. 2017. J. Lota, S. Sun, T. S. Rappaport, and A. Demosthenous, “5G Uniform linear arrays with beamforming and spatial multiplexing at 28 GHz, 37 GHz, 64 GHz and 71 GHz for outdoor urban communication: A two-level approach,” IEEE Transactions on Vehicular Technology, Sep. 2017. G. R. MacCartney, Jr. and T. S. Rappaport, “Rural Macrocell Path Loss Models for Millimeter Wave Wireless Communications,” in IEEE Journal on Selected Areas in Communications, vol. 35, no. 7, pp. 1663-1677, July 2017. Y. Wang, S. Mao and T. S. Rappaport, “On Directional Neighbor Discovery in mmWave Networks,” 2017 IEEE 37th International Conference on Distributed Computing Systems (ICDCS), Atlanta, GA, June 2017, pp. 1704-1713. J. Ryan, G. R. MacCartney, Jr., and T. S. Rappaport, “Indoor Office Wideband Penetration Loss Measurements at 73 GHz,” in 2017 IEEE International Conference on Communications Workshop (ICCW), Paris, France, May 2017, pp. 1-6. T.S. Rappaport, S. Sun and M. Shafi, “5G channel model with improved accuracy and efficiency in mmWave bands,” IEEE 5G Tech Focus, Mar. 2017. A.I. Sulyman, A. Alwarafy, G.R. MacCartney, T.S. Rappaport, A. Alsanie, “Directional Radio Propagation Path Loss Models for Millimeter-Wave Wireless Networks in the 28-, 60-, and 73-GHz Bands,” IEEE Transactions on Wireless Communications, vol. 15, no. 10, pp. 6939-6947, Oct. 2016. H. Yan, G. MacCartney Jr., S. Sun, T. S. Rappaport, “5G Millimeter-Wave Channel Model Alliance Measurement Parameter, Scenario Parameter, and Measured Path Loss Data List,” September 2016. G. R. MacCartney Jr., S. Deng, S. Sun, T. S. Rappaport, “Millimeter-Wave Human Blockage at 73 GHz with a Simple Double Knife-Edge Diffraction Model and Extension for Directional Antennas,” 2016 IEEE 84th Vehicular Technology Conference Fall (VTC 2016-Fall), Sept. 2016. K. Haneda, L. Tian, H. Asplund, J. Li, Y. Wang, D. Steer, C. Li, T. Balercia, S. Lee, Y. Kim, A. Ghosh, T. Thomas, T. Nakamura, Y. Kakishima, T. Imai, H. Papadopoulas, T. S. Rappaport, G. R. MacCartney Jr., M. K. Samimi, S. Sun, O. Koymen, S. Hur, J. Park, C. Zhang, E. Mellios, A. F. Molisch, S. S. Ghassamzadah, A. Ghosh “Indoor 5G 3GPP-like Channel Models for Office and Shopping Mall Environments,” in 2016 IEEE International Conference on Communications Workshops (ICCW), May 2016. S. Sun, G. R. MacCartney, Jr., M. K. Samimi, and T. S. Rappaport, “Synthesizing Omnidirectional Antenna Patterns, Received Power and Path Loss from Directional Antennas for 5G Millimeter-Wave Communications,” in 2015 IEEE Global Communications Conference (GLOBECOM), Dec. 2015. Sun, Shu, G. R. MacCartney, Mathew K. Samimi, and Theodore S. Rappaport. “Synthesizing omnidirectional Antenna Patterns, received power and path loss from directional measurements at millimeter-wave frequencies.” In 2015 IEEE Global Telecommunications Conference (GLOBECOM 2015), pp. 3948-3953. 2015. S. Sun, Theodore S. Rappaport et al., “Path Loss, Shadow Fading, and Line-Of-Sight Probability Models for 5G Urban Macro-Cellular Scenarios,” to appear in 2015 IEEE Global Communications Conference Workshop (Globecom Workshop), Dec. 2015. T. Wu, T. S. Rappaport, C. M. Collins, “The Human Body and Millimeter-Wave Wireless Communication Systems: Interactions and Implications”, IEEE International Conference on Communications, Jun. 2015. M. K. Samimi, T. S. Rappaport, G. R. MacCartney, Jr., “Probabilistic Omnidirectional Path Loss Models for Millimeter-Wave Outdoor Communications”, IEEE Wireless Communications Letters, August 2015, Vol. 4, No. 4, pp. 357-360. T. Wu, T. S. Rappaport, C. M. Collins, “Safe for generations to come: considerations of safety for millimeter waves in wireless communications”, IEEE Microwave Magazine, vol. 16, no. 2, pp. 65-84, Mar. 2015. S. Sun, T. S. Rappaport, T. A. Thomas and A. Ghosh, “A preliminary 3D mm wave indoor office channel model,” 2015 International Conference on Computing, Networking and Communications (ICNC), Garden Grove, CA, 2015, pp. 26-31. J. Murdock, T.S. Rappaport, “Consumption Factor and Power-Efficiency Factor: A Theory for Evaluating the Energy Efficiency of Cascaded Communication Systems” Selected Areas in Communications, IEEE Journal, Vol. 32, No. 12, December 2014. S. Deng, C. J. Slezak, G. R. MacCartney Jr., T. S. Rappaport, “Small wavelengths – big potential: millimeter wave propagation measurements for 5G,” Microwave Journal, vol. 57, no. 11, pp. 4–12, Nov. 2014. A. Thomas, H. C. Nguyen, G. R. MacCartney, Jr., and T. S. Rappaport, “3D mmWave Channel Model Proposal,” accepted in Vehicular Technology Conference (VTC Fall), 2014 IEEE 80th, Sept 14 – 17, 2014. H. C. Nguyen, G. R. MacCartney Jr., T. A. Thomas, T. S Rappaport, B. Vejlgaard, and P. Mogensen, “Evaluation of Empirical Ray-Tracing Model for an Urban Outdoor Scenario at 73 GHz E-Band,” Vehicular Technology Conference (VTC Fall), 2014. A. I. Sulyman, A. T. Nassar, M. K. Samimi, G. R. MacCartney, Jr., T. S. Rappaport, and A. Alsanie, “Radio Propagation Path Loss Models for 5G Cellular Networks in the 28 GHz and 38 GHz Millimeter-Wave Bands,” IEEE Communications Magazine, vol. 52, no. 9, pp. 78–86, Oct. 2014. G. R. MacCatney, M. K. Samimi, T. S. Rappaport, “Omnidirectional Path Loss Models in New York City at 28 GHz and 73 GHz,” IEEE Personal, Indoor, and Mobile Radio Communications (PIMRC), September 2-5, 2014. T. S. Rappaport, W. Roh, and K. Cheun, “Mobile’s millimeter-wave makeover,” IEEE Spectrum, vol. 51, pp. 34-58, Sep. 2014. S.Nie, M.K.Samimi, T.Wu, S.Deng, G. R. MacCartney, Jr., T.S. Rappaport “73 GHz Millimeter-Wave Indoor and Foliage Propagation Channel Measurements and Results,” Tech. Rep. 2014-003, NYU WIRELESS: Department of Electrical Engineering and Computer Engineering, NYU Tandon School of Engineering, Brooklyn, New York, July 2014. M. K. Samimi, T. S. Rappaport, “Characterization of the 28 GHz Millimeter-Wave Dense Urban Channel for Future 5G Mobile Cellular,” Tech. Rep. 2014-001, NYU WIRELESS: Department of Electrical Engineering and Computer Engineering, NYU Tandon School of Engineering, Brooklyn, New York, June 2014. S. Sun, T. S. Rappaport, “Antenna Diversity Combining and Beamforming at Millimeter Wave Frequencies,” NYU WIRELESS Technical Report TR 2014-002, June 2014. A. Ghosh et al., “Millimeter-Wave Enhanced Local Area Systems: A High-Data-Rate Approach for Future Wireless Networks,” IEEE Journal on Selected Areas in Communications, vol. 32, no. 6, pp. 1152-1163, June 2014. Sun, S., Rappaport, T. S., “Wideband mmWave channels: Implications for design and implementation of adaptive beam antennas,” IEEE International Microwave Symposium (IMS2014), Orlando, FL, June 1~6, 2014. S. Sun, G. R. MacCartney, Jr., S. Nie, and T. S. Rappaport, “Millimeter wave multi-beam antenna combining for 5G cellular link improvement in New York City,” in 2014 IEEE International Conference on Communications (ICC), June 2014, pp. 5468–5473. 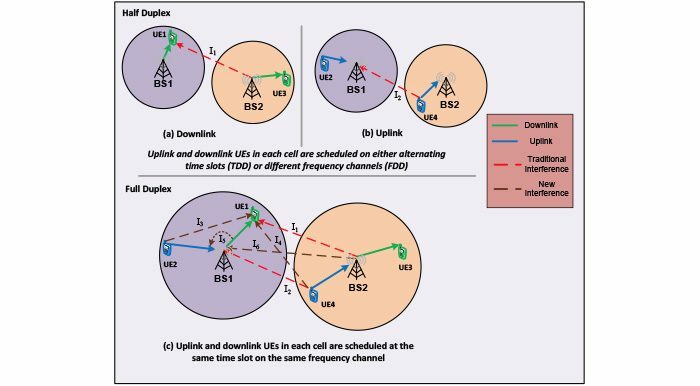 S. Nie, G. R. MacCartney, Jr., S. Sun, and T. S. Rappaport, “28 GHz and 73 GHz signal outage study for millimeter wave cellular and backhaul communications,” in 2014 IEEE International Conference on Communications (ICC), June 2014, pp. 4856–4861. G. R. MacCartney, Jr. and T. S. Rappaport, “73 GHz millimeter wave propagation measurements for outdoor urban mobile and backhaul communications in New York City,” in 2014 IEEE International Conference on Communications (ICC), June 2014, pp. 4862–4867. A. Adhikary et al., “Joint Spatial Division and Multiplexing for mm-Wave Channels,” IEEE Journal on Selected Areas in Communications, vol. 32, no. 6, pp. 1239-1255, June 2014. S. Rangan, T.S. Rappaport, E. Erkip, “Millimeter Wave Cellular Wireless Networks: Potentials and Challenges,” Proceedings of the IEEE, vol. 102, no. 3, pp. 366-385, March 2014. S. Sun, and T.S. Rappaport, “Multi-beam Antenna Combining for 28 GHz Cellular Link Improvement in Urban Environments,” IEEE Global Communications Conference (GLOBECOM), Atlanta, GA, USA, 9-13 Dec. 2013. G.R. MacCartney, J. Zhang, S. Nie, and T.S. Rappaport, “Path Loss Models for 5G Millimeter Wave Propagation Channels in Urban Microcells,” accepted by 2013 IEEE Global Communications Conference (GLOBECOM), Atlanta, GA, USA, 9-13 Dec. 2013. S. Nie, G. R. MacCartney, Jr., S. Sun and T. S. Rappaport, “72 GHz Millimeter Wave Indoor Measurements for Wireless and Backhaul Communications,” in 2013 IEEE 24th International Symposium on Personal Indoor and Mobile Radio Communications (PIMRC), Sept. 8-11, 2013, pp. 2429–2433. R. Mayzus, S. Sun, M.K. Samimi, J.K. Schulz, Y. Azar, K. Wang, G. N. Wong, F. Gutierrez, T. S. Rappaport “28 GHz Millimeter Wave Cellular Communication Measurements for Reflection and Penetration Loss in and around Buildings in New York City,” 2013 IEEE International Conference on Communications (ICC), Budapest, 2013, pp. 5163-5167. Y. Azar, G. N. Wong, K. Wang, R. Mayzus, J. K. Schulz, H. Zhao, F. Gutierrez, D. Hwang, and T. S. Rappaport, “28 GHz propagation measurements for outdoor cellular communications using steerable beam antennas in New York City,” in IEEE International Conference on in Communications (ICC), pp. 5143-5147, June 2013. T.S. Rappaport, F. Gutierrez, E. Ben-Dor, J.N. Murdock, Qiao Yijun, J.I. Tamir , “Broadband Millimeter-Wave Propagation Measurements and Models Using Adaptive-Beam Antennas for Outdoor Urban Cellular Communications,” Antennas and Propagation, IEEE Transactions, 2013. Theodore S. Rappaport, Eshar Ben-Dor, James N. Murdock, Yijun Qiao “38 GHz and 60 GHz Angle-dependent Propagation for Cellular & Peer-to-Peer Wireless Communications,” 2012 IEEE International Conference on Communications, Ottawa, Canada. J. N. Murdock, E. Ben-Dor, Y. Qiao, J. I. Tamir, T. S. Rappaport, “A 38 GHz Cellular Outage Study for an Urban Outdoor Campus Environment,” IEEE Wireless Communications and Networking Conference (WCNC), April 2012. T.S. Rappaport, E. Ben-Dor, J.N. Murdock, Y. Qiao, J. Tamir, “Cellular and Peer-to-Peer Broadband Millimeter Wave Outdoor propagation measurements and Angle of Arrival characteristics using adaptive beam steering,” IEEE Radio and Wireless Week (RWW) 2012, Santa Clara, CA, Jan. 15, 2012. E. Ben-Dor, T.S. Rappaport, Y Qiao, S. Lauffenberger, “Millimeter-wave 60 GHz Outdoor and Vehicle AOA Propagation Measurements using a Broadband Channel Sounder,” 2011 IEEE Global Communications Conference (Globecom), December 2011, Houston, TX, 6 pp. J. N. Murdock, T. S. Rappaport, “Consumption Factor: A Figure of Merit for Power Consumption and Energy Efficiency in Broadband Wireless Communications,” IEEE Global Communications Conference (Globecom), Broadband Wireless Workshop, December 2011, Houston, TX. T.S. Rappaport, J.Murdock, F.Gutierrez, Jr., “State of the Art in 60-GHz Integrated Circuits and Systems for Wireless Communications,” Proceedings of the IEEE, vol. 99, no.8, pp.1390-1436, Aug. 2011. J. Murdock, E. Ben-Dor, F. Gutierrez, Jr., T.S. Rappaport, “Challenges and Approaches to On-chip Millimeter Wave Antenna Measurements,” 2011 IEEE MTT-S International Microwave Symposium (IMS), Baltimore, MD, June 5-10. K. Hassan, T. S. Rappaport, J. G. Andrews, “Analog Equalization and Analog to Digital Converter Considerations for Low Power 60 GHz Receivers in Realistic Multipath Channels,” IEEE Global Telecommunications Conference (Globecom), December 2010, 5 pp. F. Gutierrez, T. S. Rappaport, J. Murdock, “Millimeter-Wave CMOS Antennas and RFIC Parameter Extraction for Vehicular Applications,” IEEE 72nd Vehicular Technology Conference Fall (VTC), Ottawa, Canada, Sept. 6-9, 2010, pp.1-6. T. S. Rappaport, F. Gutierrez, T. Al-Attar, “Millimeter-Wave and Terahertz Wireless RFIC and On-Chip Antenna Design: Tools and Layout Techniques,” Proceedings of IEEE First Workshop on Millimeter Wave and Terahertz Communications, in conjunction with IEEE Global Communications Conference (Globecom), Honolulu, HI, November 30-December 4, 2009. F. Gutierrez, S. Agarwal, K. Parrish, T. S. Rappaport, “On-Chip Integrated Antenna Structures in CMOS for 60 GHz WPAN Systems,” IEEE Journal on Selected Areas in Communications, Vol. 27, Issue 8, October 2009, pp.1367-1378. L. Ragan, A. Hassibi, T. S. Rappaport, C. L. Christianson, “Novel On-Chip Antenna Structures and Frequency Selective Surface (FSS) Approaches for Millimeter Wave Devices,” IEEE 66th Vehicular Technology Conference (VTC), Baltimore, MD, Oct. 1-3, 2007, pp. 2051-2055. C. R. Anderson and T. S. Rappaport, “In-Building Wideband Partition Loss Measurements at 2.5 and 60 GHz,” IEEE Transactions on Wireless Communications, Vol. 3, No. 3, May 2004, pp. 922-928. H. Xu, V. Kukshya, T. S. Rappaport, “Spatial and Temporal Characteristics of 60 GHz Indoor Channels,” IEEE Journal on Selected Areas in Communications, Vol. 20, No. 3, April 2002, pp. 620-630. H. Xu, D. A. Wolf, T. S. Rappaport, “Experimental and Theoretical Study of Short-terni Signal Variation During Rain,”April 14, 2000. H. Xu, T. S. Rappaport, D. A. de Wolf, “Experimental and Theoretical Study of Short-Term Signal Variation during Rain for Millimeter-Wave Point-to-Multipoint Applications,” AP2000 Millennium Conference on Antennas & Propagation, April 9-14, 2000, pp. 1534-1538. H. Xu, T. S. Rappaport, V. Kukshya, Ho. Izadpanah, “Multipath measurements and modeling for fixed broadband point-to-multipoint radio wave propagation links under different weather conditions,” The Bradley Dept. of Electrical and Computer Engineering, Feb 25, 2000. H. Xu, T. S. Rappaport, R. J. Boyle, J. H. Schaffner, “38 GHz Wideband Point-to-Multipoint Radio Wave Propagation Study for a Campus Environment,” 49th Annual International IEEE Vehicular Technology Conference, Houston, TX, May 16-19, 1999, pp. 1575-1579. J. H. Schaffner, H. Izadpanah, D. Gregoire, H. P. Hsu, H. Xu, R. J. Boyle, T. S. Rappaport, “Millimeter Wave Wireless Technology and Testbed Development for Wideband Infrastructure Access,” Session WCC-98TA7, Yd International Wireless Communications Conference, November l998, San Diego, CA. T. S. Rappaport, K. Blankenship, H. Xu, “Propagation and radio system design issues in mobile radio systems for the GloMo project,” Mobile and Portable Radio Research Group, Bradley Department of Electrical and Computer Engineering, Virginia Polytechnic Institute and State University, 1997. Generous funding provided by National Science Foundation.